Objectives: Optimal control entered mathematical ecology and evolution through applications in resource management and behavioral and evolutionary ecology. While traditional optimal control provides insights into problem structure and a set of analytic tools, it is most useful when combined with additional techniques that explicitly account for ill-resolved model structure, complex stochastics, and unusual or inflexible controls, which are commonly encountered in ecological systems. We will focus on three practical concerns that complicate straightforward applications of optimal control: model uncertainty, objective uncertainty, and control constraints. For model uncertainty, we consider scenarios where there are several competing models. Rather than applying optimal control to a model of dubious authority, a more reasonable strategy will reflect the uncertainty about the different models and update this through time as new information becomes available. For objective uncertainty, we consider cases where there is uncertainty about the "correct" objective function, such as managing a system for biological diversity with competing metrics of diversity. For control constraints, we consider fisheries management applications where optimal control solutions often represent functions that are either biologically or politically unfeasible, and we consider how to construct a principled approximation from within a class of pragmatically feasible controls. Using a problem-based approach, we will consider examples in fisheries management, marine spatial planning, life-history evolution, and ecosystem dynamics. 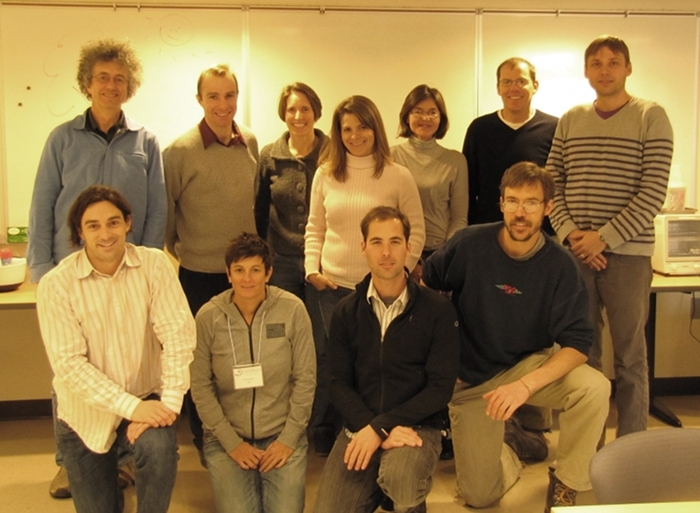 Our team participants bring expertise from mathematics, ecology, control systems engineering, network theory, and statistics and are drawn from institutions in California, Pennsylvania, Hawaii, Tennessee, Florida, and Australia. 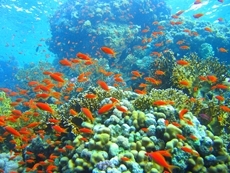 Our example problems are centered on coral reef ecosystems and draw from resource management and life history theory. 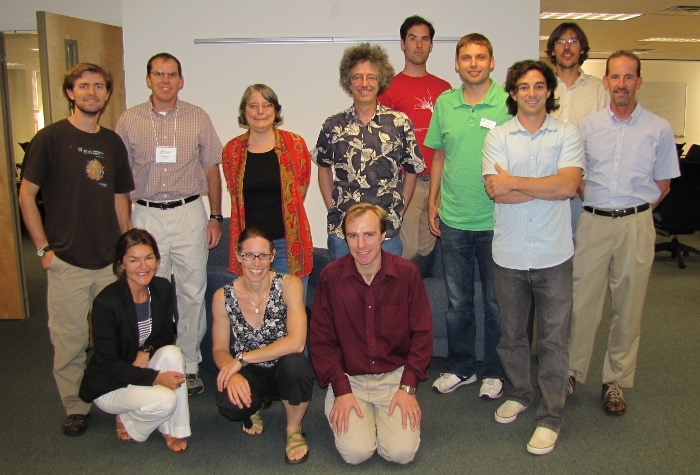 These choices reflects this group’s coalescence at the NIMBioS Investigative Workshop on Modeling Coral Reef Ecosystems (July 2010), the expertise and interest of the participating biologists, the pressing problems of coral reef ecosystem management, and the history of optimal control theory in ecology. Focusing on coral reef ecosystems gives the group a common biological context and specific datasets on which to draw: the Hawaiian Archipelago, the Great Barrier Reef, and the Caribbean. The specific problems posed here apply directly to all coastal marine ecosystems, and the techniques we will develop apply to biological systems much more broadly. Our problem-centered approach reflects the problem-oriented development of optimal control techniques in the engineering literature and our belief that working with concrete problems enhances communication across disciplines. Meeting 1 Summary. We focused on three "training problems" designed to find a common language among participants. Following the introduction of these problems, we broke into subgroups, periodically reporting back to the full group and reshuffling, to focus on specific questions. We are proceeding with the following three research areas: (1) chattering control in fisheries management; (2); control under model uncertainty with information gain from harvest, and (3) control of spawning aggregations given spatiotemporal variation in larval connectivity. Meeting 2 Summary. In the second meeting, the group shared progress on the three theme areas from the first meeting and focused in on products or directions for each area. Content for manuscripts was identified on (i) sources of uncertainty and modes of learning in fisheries management (Theme 2) and (ii) analysis of policy adjustment costs on optimal trajectories (Theme 1). The group continues to develop methods to infer a spawning cost function from the spatial and temporal pattern of mass spawning (Theme 3). Two new working group participants (Iadine Chades and Mandy Karnauskas) were introduced, and a new discussion on the effects of ecological modularity on optimal control was initiated. Meeting 3 Summary. In our third meeting, we focused on products for each of our theme areas, developing manuscripts on (i) analysis of policy adjustment costs on optimal trajectories, (ii) sources of uncertainty and modes of learning in fisheries management, (iii) inferring a spawning cost function from the spatial and temporal pattern of mass spawning, and (iv) the effects of ecological modularity on optimal control. Mtg. 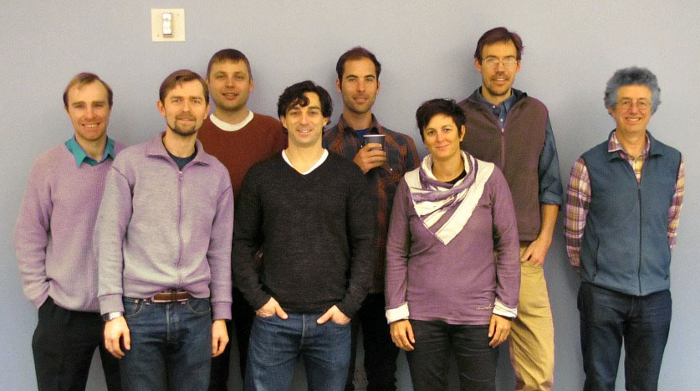 3 participants (Back row, L to R): Alan Hastings, Paul Armsworth, Megan Donahue, Mandy Karnaskaus, Claire Paris, Jim Sanchirico, Dan Ryan; (Front, L to R): Jacob LaRiviere, Iadine Chades, Michael Bode, Carl Toews.